It's been awhile since I've read The Autobiography of Malcolm X, so I decided to read it again. 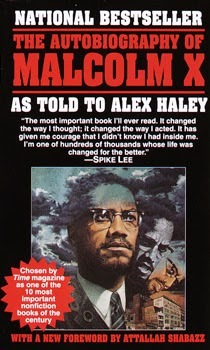 "In the aftermath of The Autobiography of Malcolm X, freelance writing offers for Haley began pouring in, and he could have easily lived out his lifelong dream of being a successful independent writer. Instead, Haley embarked on a hugely ambitious new project to trace and retell the story of his ancestors' journey from Africa to America as slaves, and then their rise from slavery to freedom. 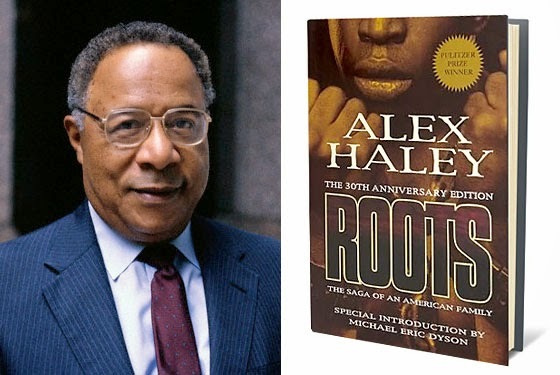 During a decade of research on three continents, Haley examined slave ship records at archives in the United States and England and traveled to Gambia, the home of his ancestors in West Africa. In The Autobiography of Malcolm X, Alex does a great job of telling Malcolm's story. At the end of the autobiography, Alex writes about the experience of working with Malcolm on this novel, and this part is just as captivating as the novel itself. My People, Malcolm is THE MAN! Malcolm X and Alex Haley together; it don't get much better! 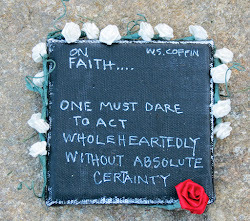 I am going to start rereading The Power of Intention by Dr. Wayne Dyer; join me if you dare! !